When you think of Miami, we bet a wild party scene comes to mind. And we get it — Miami is the ultimate hub for nightlife. 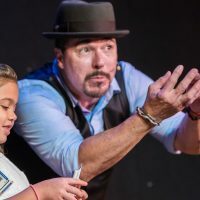 Believe it or not, however, it”s also a family-friendly city, with popular beaches (South Beach), museums, aquariums and zoos and parks for children of all ages to enjoy. Plus, the Greater Miami area includes several unique towns, including Coconut Grove, the perfect place to enjoy dinner, and Key Biscayne, an island in itself with a national park to boot. Follow our itinerary to make the most of your family’s Miami weekend getaway. Kick off your weekend trip to Miami by doing some exploring. 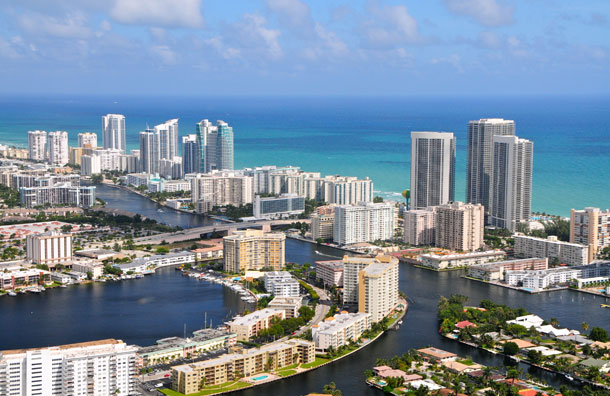 To familiarize your family with the city, take a drive or stroll along vibrant South Beach. You"ll find intricate Art Deco buildings that date back to Miami"s original hey day, reborn and thriving today, along with retail stores, restaurants and, of course, the beach. Let the kids climb on South Beach"s playground or search for seashells before it gets crowded. What"s a Miami family getaway without an afternoon (or five) on the beach? South Beach is the most popular, but for a less-crowded, family-friendly atmosphere, check out Matheson Hammock Park Beach, located in Coral Gables. Stretched across 3 miles of golden-brown sand, it has a playground with children"s rides, picnic areas and a golf course. There"s also a manmade lagoon for new swimmers. After a day on the beach, relax with dinner and a walk around Coconut Grove, also located in Coral Cables. The area"s brick-paved, tree-with-white-lights-lined streets lead to several restaurants where you can enjoy dinner. We recommend The Grove Spot for its casual atmosphere, fare and prices. Plus, it offers live music and breakfast all day! After dinner, get some gelato (Dolce Vita Gelato CafÃƒÂ© or Coco Gelato) and let your teenagers browse through Coconut Grove"s boutiques and shops. After breakfast and a swim in the hotel pool, pack up and head to Zoo Miami, the largest tropical zoo in the continental United States! Our favorite feature is the Children"s Zoo. Here, you"ll find the Wacky Barn, where you can feed and groom animals, as well as Toadstool, an exhibit with giant Madagascar geckos and blind Mexican cavefish. There"s also a butterfly garden, snack bar and carousel in the Children"s Zoo. Zoo Miami is open from 9:30 a.m. to 5:30 p.m. daily; the Children"s Zoo closes at 5. You have to see Monkey Jungle, where primates freely roam around this unique attraction in South Miami. You"ll want to spend about two hours of your afternoon here, dedicating plenty of time to feed the monkeys; they"ll congregate near you if they know you have food! Monkey Jungle is inhabited by 30 species of primates, including the Golden Lion Tamarin, an endangered animal. Special exhibits include the Wild Monkey Swimming Pools, with shows throughout the day, and the Amazonian Rain Forest, the only semi-natural of its kind in North America. Take an evening cruise on El Loro Pirate Boat. You"ll see beautiful mansions (many belong to celebrities, especially those situated on Star Island), landmark buildings, beaches and more. The boat departs from and arrives at Bayside Marketplace, so allot some time to explore this outdoor shopping area before or after the boat ride. You"ll likely find a festival or at the very least, live entertainment, along with restaurants and boutiques. Many weekend travelers will only spend 48 hours in Miami, but if you"re lucky enough to have three days off, spend your final day in Key Biscayne, a charming island town near South Beach. Here, you"ll find opportunities to snorkel, hike through Biscayne National Park (where you"ll see Fowey Rocks Lighthouse) or simply build sandcastles on the beach. You can also play golf and tennis, rent bicycles and kayaks and go fishing and sailing. Key Biscayne has plenty of casual restaurants for a bite to eat as well. Spend your Miami weekend getaway in style at Grand Beach Hotel. 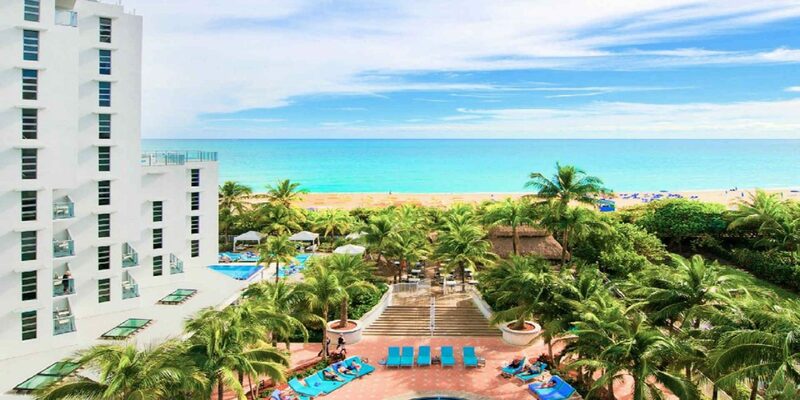 This newly built, luxurious resort has an oceanfront location with two family-friendly pools (and one for adults), a fitness center, library and onsite restaurant. The Grand Beach Hotel provides 430 suites, each with two marble bathrooms, two flat-screen TV"s, a balcony and free Wi-Fi. Units have either two double beds or a king bed and a sleeper sofa in a separate sitting area. Pet-friendly accommodations are available. Everything about Turnberry Isle Miami, located in Aventura (just north of Miami), is over the top, except the bill you receive upon departure. Amenities include a private beach area, spa, two golf courses, onsite dining options, a kids' club, several pools with waterslides and a lazy river. Housed in four buildings, the resort"s rooms and suites provide ample space and balconies. Cribs, rollaway beds, refrigerators and microwaves can be requested. Pet-friendly accommodations are also available. The combination of affordability, comfort, and fun make it an ideal choice for a Miami weekend family getaway. At Courtyard Miami Beach Oceanfront, you"ll pay reasonable rates to be right on Miami Beach. If that doesn"t sell you, consider the outdoor pool, fitness center and convenience store. Still not enough? There are three onsite restaurants, room service and refrigerators in the hotel"s stylish rooms and suites, which can accommodate cribs and rollaway beds. When you're planning a Miami weekend getaway on a budget, but don't want to be packed into a run-down motel room, this is an excellent choice. 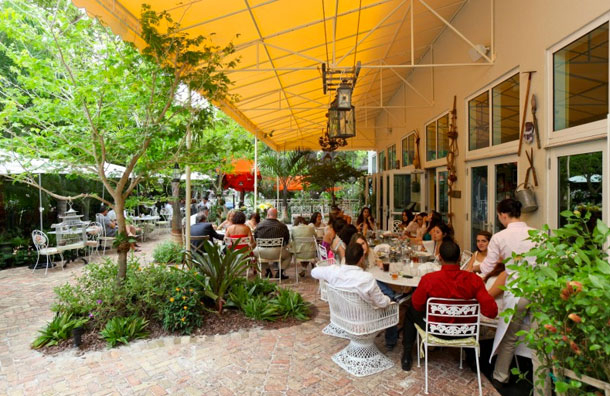 You won't go hungry during your weekend trip to Miami with the help of these five great family restaurants. American food is served in humungous portions at this casual restaurant in Miami Beach (157 Collins Ave.). A kid"s menu is available for breakfast, lunch and dinner. One of the most popular menu options is the TV Dinner, which has a gourmet flare to it. Situated in a Coconut Grove garden (2889 McFarlane Dr.), this quaint cafÃƒÂ© resembles a tearoom, but don"t be fooled -- it offers plenty of casual, kid-friendly fare, which includes cheeseburgers and macaroni and cheese. Brunch, served on Saturdays and Sundays, is a must-do. Located in downtown Miami (8080 SW 67th Ave.), this place is a tourist trap, but a good one at that, particularly for families. A kid"s menu for ages 12 and under offers the usual suspects with a soda included. Before you visit, check the Web site for coupons. This spacious, yet cozy restaurant offers typical pub fare, including burgers, sandwiches, salads, soups and wings. The prices are reasonable, too. If you have a cranky crowd or don"t feel like eating in the restaurant, take-out service is available. Kings Creek Village Tavern is located in downtown Miami (8100 SW 81st Dr.). For a fun, interactive experience and some of the best Hibachi food you"ll ever eat, try Samurai in downtown Miami (8717 SW 136th St.). The restaurant offers a children"s menu with kid-size portions of popular plates, in addition to smoothies. The staff will also provide kids with crayons, but children will likely be distracted by the chef cooking right at the table! 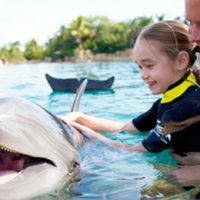 There"s plenty of fun to be had in Miami year-round, but the most unique time for a Miami weekend getaway with your family is around the winter holidays. 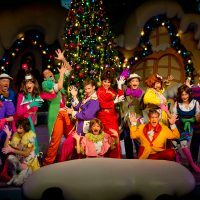 From late October through early January, Miami opens Santa"s Enchanted Forest. The largest theme park of its kind, it offers something for all ages, from Ã¢â‚¬Å“Kiddie RidesÃ¢â‚¬Â to Ã¢â‚¬Å“Thrill RidesÃ¢â‚¬Â for those over 54 inches in height. It also features South Florida"s tallest Christmas tree! Another highlight is the Winterfest Boat Parade in December -- it"s a parade of decorated, lit-up boats on the Intracoastal Waterway. 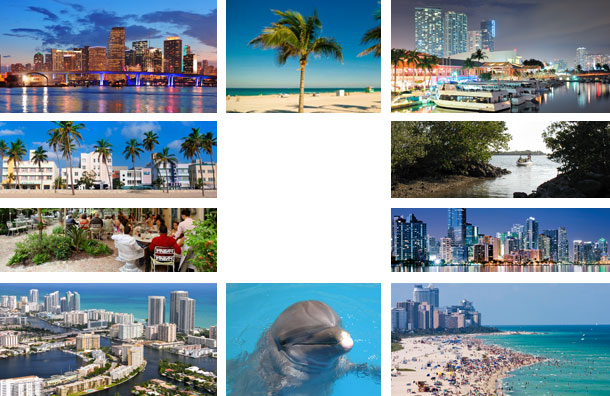 In October, the city hosts Miami Attractions Month, which allows discounted admission to many of the city"s attractions. Another great (and popular) time to visit is the Fourth of July. Several celebrations offer special activities just for kids, along with food, music and fireworks. Miami is notorious for bad traffic, and its 8- to 10-lane highway can be intimidating. Still, we recommend a car for your visit, as many points of interest are spread out across the city. Parking meters can be found throughout Miami, and can also be rented on a daily basis, for $10, via Miami Parking Authority"s website. The website also enables you to search for parking by any address, neighborhood or landmark in Miami. Miami-Dade Transit is the city"s public transportation system, with a series of bus and train routes. Also part of the system is the Metromover, a free, electrically powered bus that stops at various locations in the downtown area. Standard, one-way fares for busses and trains are $2.